The focus of the Nursing Home Law Center is to provide information to families so they can make informed decisions about their loved ones. Frequently, this means reporting on issues involving medical and legal developments in the area of nursing home negligence. We invite you to browse the material in this ‘news’ section, where we have a virtual encyclopedia related to skilled nursing facilities and elder care. Should you have any questions about this content or a situation involving a family member, please contact us. All consultations are free and confidential. Our attorneys have experience representing families across the United States in matters involving abuse and neglect. Put our expertise to work for you. Most people enter New York nursing homes because they are too sick or too old to take care of themselves. Thus, they present facilities with particularly difficult challenges of health care and service. However, that is what they contracted for and that is what they promised residents they would deliver. Due to their special role as caretaker and medical provider, they can uniquely injure residents and that’s what happens in too many instances. 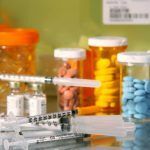 Take a look at these New York verdicts and settlements to get a better sense of how people like you turn these medical errors into actionable claims. 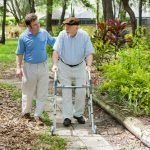 Nursing Home Law News specializes in assisting victims of nursing home negligence and misconduct. We take great care and spend significant resources for each and every case because they mean so much to our clients. The accidents take an extraordinary toll on their mental, physical, and financial lives so it’s important to get it right. 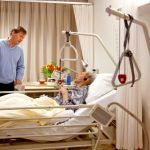 Normally, the most common kinds of scenarios that trigger nursing home lawsuits in California are falls, bed sores, medical errors, abuse, or inadequate care. Incidents in nursing homes are so complicated because their residents are usually suffering from numerous health problems. Nursing facilities are not only caretakers but medical providers as well. Thus, they have the potential to really injure residents if they make a medical error. This is unfortunately what happens in many cases. 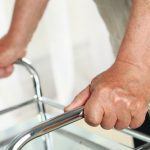 Here we provide summaries of some California lawsuits that arose because the nursing home committed various medical mistakes and harmed their residents. Our elderly population deserves respect and dignity. Sadly, many of them are abused in an environment where they should expect the most protection and comfort: nursing homes. Time and again, we see victims of California nursing home abuse because of the actions of facility staff or other residents. They are physically, mentally, sexually, and even financially abused in some circumstances. To help you understand the problems that they are facing in these kinds of institutions, review the following case summaries involving alleged abusive care at California nursing facilities and call our offices if you have any questions. Nursing homes have been flooded with a wave of new residents in recent years. It makes sense that there will be some need to catch up. However, this should not detract from their responsibility to provide consistent and quality care. Unfortunately, in many instances, nursing homes are failing to meet this standard and are delivering inadequate care. 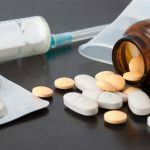 Due to the precarious health condition of so many nursing home residents, incidents are bound to happen but medical errors have the capacity to exaggerate their effects. Plus, when nursing home staff serve as both caretaker and medical provider, they have the ability to do great damage to residents. Inadequate care incidents trigger some of the most nursing home lawsuits in Colorado because it’s an all-encompassing term. It’s an umbrella category of suits for whenever a nursing home generally messes up and injures a resident. Many of them involve malnutrition, dehydration, neglect, or other circumstances. Denver, Colorado nursing home fall case. The victim at the middle of this controversy was a woman in her late seventies. She was admitted to the nursing home in question just before the events involved in this lawsuit because she recently underwent spinal surgery and needed care and attention. Prior to her entrance into the facility, she and her family members asked a number of questions about the home’s capability especially related to past practices and current policies. Satisfied with those answers, she decided to live there. 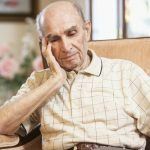 Bed sores might seem like small, little blisters that are unavoidable in daily life at a nursing home but in actuality, they are a large and fatal problem spreading across the state of Colorado and the country. They normally arise because residents lay or sit too long without moving. The real problem comes through when they crack and infections flood in and spread to the neighboring tissue, bones, and muscle. At that point, there is little that can be done and a nursing home resident’s life is in danger. Here are a few Colorado nursing home cases that deal with bed sores. Abuse in any sector of society is intolerable but when it occurs in nursing homes it is especially tragic. Our elderly and infirm need care and protection. Instead, what they get all across Colorado at alarming rates are physical, mental, sexual, and financial exploitation and abuse. In the next section, we review some Colorado nursing home abuse lawsuits that illustrate the problem of abuse in these facilities so that you have a better sense of what to watch out for if you live in one or know someone that does.